DO YOU EVER DREAM OF BECOMING DEBT FREE? Please join us in learning Dave Ramsey's way to financial freedom! 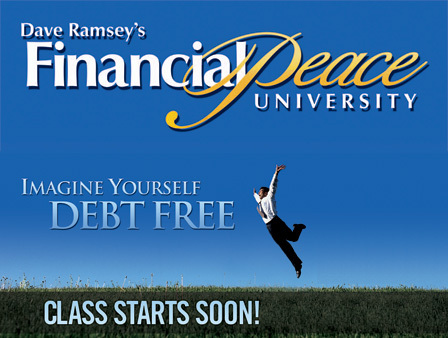 This life-changing class taught by Dave Ramsey and the FPU teaching team on video and coordinated by Diana D'Agostino at Newtown Christian Church in Newtown, CT will help you achieve your financial goals by showing you how to eliminate debt, save for the future, and give like never before. You will be challenged and motivated to make a plan for your money and change your family tree forever.